We provide Flat Roofs | Residential Shingle Roofs | Polyurea Coatings. Professional, affordable flat roof repair and replacement guys. GTA Ontario Flat Roofers is proud to serve the business owners and residents of Toronto for roof repairs and replacements, both flat roof and shingles. We also provide siding services and spectacular waterproof, hard as rock coatings. 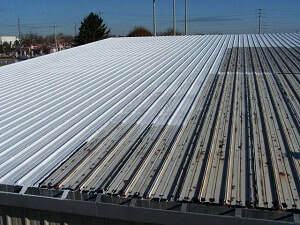 We are experienced and completely up on all types of roofs, in particular, industrial and commercial flat roofing systems, Our roofing company also does residential flat roof work with dedication to complete customer satisfaction. If you live in Toronto or in the surrounding area, let us contract your re-roofing or siding replacement and we will deliver the best work possible. ​​Roofing services in Southern Ontario. Toronto is the largest and most populated of Canada's booming urban centres and the capital of the province of Ontario. Founded on the north shore of Lake Ontario, it has a population of 2.8 million residents and over 6 million if you consider the GTA Region. Toronto is fairly central geographically in Canada and also the of the country's commercial, financial, industrial, and cultural life. People have resided here for over 10,000 years, however, only since 1793 has it been an urban community when British colonials founded the 'Town of York' on the Upper Canadian frontier. What began as a tiny village became the metropolis it is today widely considered one of the most multicultural and livable cities of our current generation. In the early days (late 1700's), York birthed Hamlets or villages such as Etobicoke and Scarborough as settlements. York was renamed Toronto in 1834 and became a city while the settlements became townships in the mid 1800's with East York the last one to become a township in 1924. Finally, the townships and Toronto amalgamated and became Metropolitan Toronto. If you live in Toronto, your roof is exposed to heat and frigid cold and the most damaging of mother nature's arsenal, hail storms. 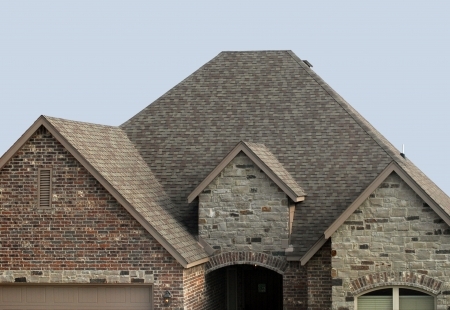 If your roof has asphalt shingles twelve years or older, you need to have the roof inspected for deficiencies. Modified bitumen roof systems is a layered asphalt combined with a rubber compound which actually acts as the waterproof sealing this system is known for. Sometimes called torch-down. 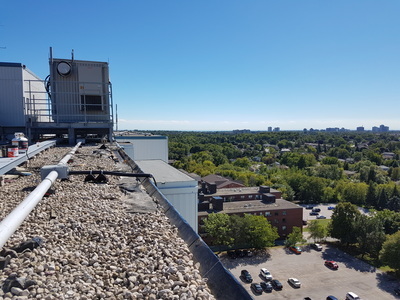 Toronto residents can understand the importance of maintenance when it comes to any type of roof, especially when you consider the severe weather we experience here. Snow, hail, howling winds and ice can cause damage at any time and in the summer, Southern Ontario gets plenty of hard hitting sunshine. ​ It cannot be overstated how damaging a leak can become if not dealt with right away. .Any small crack or bubble can lead to larger openings and breaches which will lead to larger leaks and other problems that will get worse very quickly. Easy repairs versus costly repairs, or replacement, you make the call. But if you want a valid assessment so you can know exac ly the condition of your roof, then feel free to call. ​How we fix your roof. We have been fixing roofs in Toronto for many years. 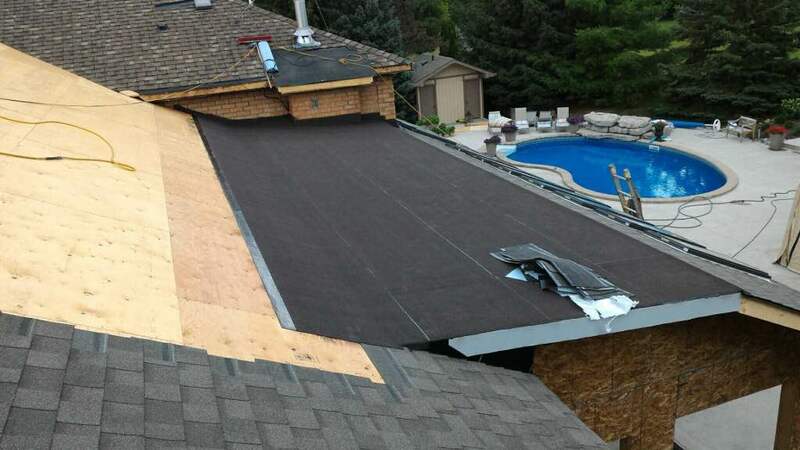 Our full understanding of: seam and access points, flat roof construction, roof drainage, drip edges, exhaust vents, flashing, underlays, gutters, pitched and flat surfaces and assessing damage from fires in order to repair roof damage accurately and safely means you need to call us first. 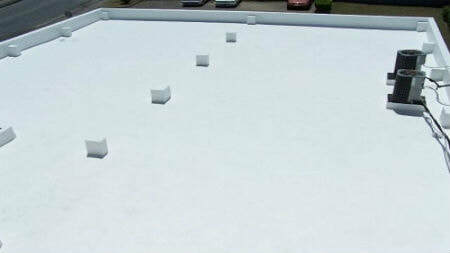 Flashing joints around vents, chimneys, skylights and any other roof protrusion must be carefully dealt with as well. Oh yeah, we're very affordable painters!